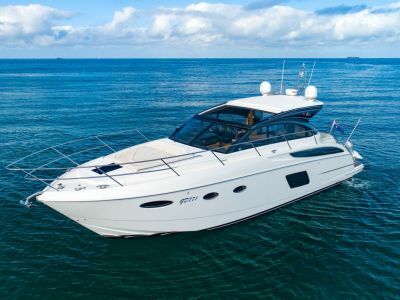 We are pleased to present this twin cabin two bathroom 43' RIVIERA PLATINUM FLYBRIDGE CRUISER "for sale. 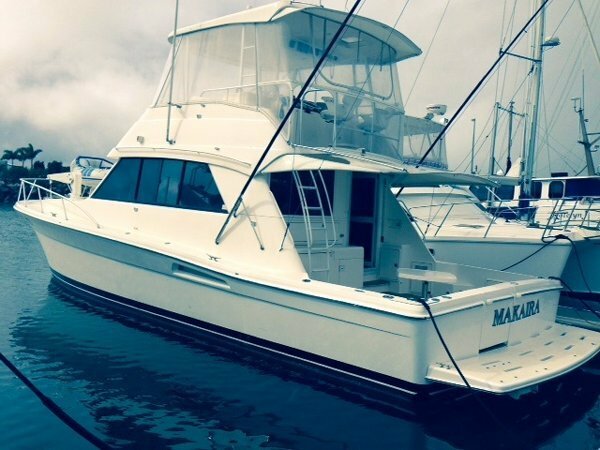 "MAKAIRA" has been maintained to an excellent standard by the fastidious owner. 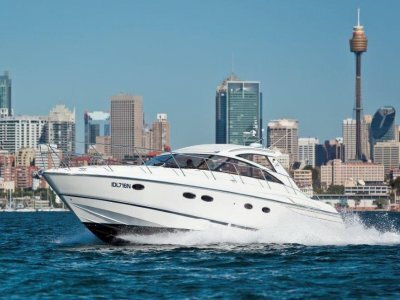 Full service history availiable this Riviera 43 will not dissapiont. Upright fridge / freezer, Ceran 2 burner electric stove, Sharp convection microwave, cockpit & flybridge fridge / freezer. Samsung flat screen TV, Samsung DVD Clarion stereo, 12 volt / 240 volt lighting, various batteries with charger. Upgraded 2015 Garman 5012 / 7012 GPS Map, Raymarine VHF, forward facing sonar. 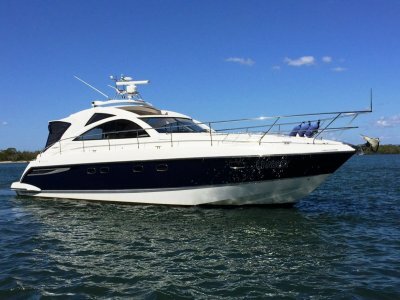 Accessories: Icemaker, Aurora tender, 15 hp Mariner outboard, cockpit / flybridge carpets, | Remarks: Extensive history available. You will need to inspect this 43' RIVIERA to appreciate the condition and all it has to offer.